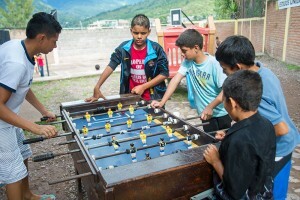 As the United Nations celebrates “Youth Day”, Honduras is proud to claim that nearly 50 community outreach centers are providing hope for our Honduran youth, as they create safe spaces for the young to congregate, and generate opportunities for learning, recreation, and job training. The Honduran government, supported by USAID and Creative’s Honduran Youth Alliance (Alianza Joven Honduras – AJH) program, is using grants and technical assistance to enable the government and its affected communities to address violence and reform the justice system. 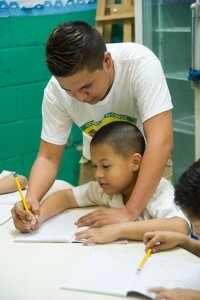 Honduras Youth Alliance provides education such as classes in English. AJH focuses on the five northern cities of San Pedro Sula, Choloma, La Ceiba, Puerto Lempira and Tegucigalpa, which experience high levels of violence. They provide quality services for at-risk youth to become productive citizens and positive forces in their communities, resulting in places of hope, with opportunities for the future. USAID is also sponsoring a Reproductive Health and Pregnancy Prevention Project, Jóvenes Saludables, in an effort to help Honduran youth by increasing their knowledge of reproductive health, promoting modern methods of contraception, and improving access to reproductive health services through the Honduras Ministry of Health and other community health service providers. Teenage pregnancy rates in Honduras are the highest in the region at 22%, with only 21.2% of sexually active women aged 15-19 using modern contraception. Jóvenes Saludables is teaching life skills and provides job training. Additionally, the Honduras Ministry of Education has dedicated the month of August to “No Migrante“, in order to help youngsters understand the dangers children face when migrating illegally to the USA.